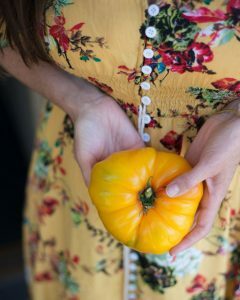 When shopping for ingredients at a great local market (read more from Erin’s original post here), she took home one of those yellow Brandywine tomatoes from the store and had to include it! 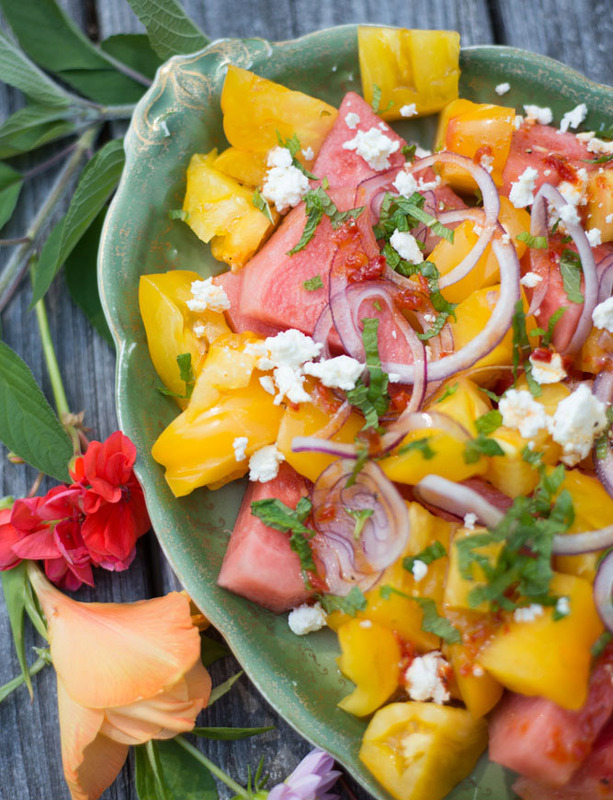 This salad pairs nicely with a simple summer Shabbat meal made on the grill. Here’s an idea for Halloumi Grill Wraps to keep it vegetarian. 1. 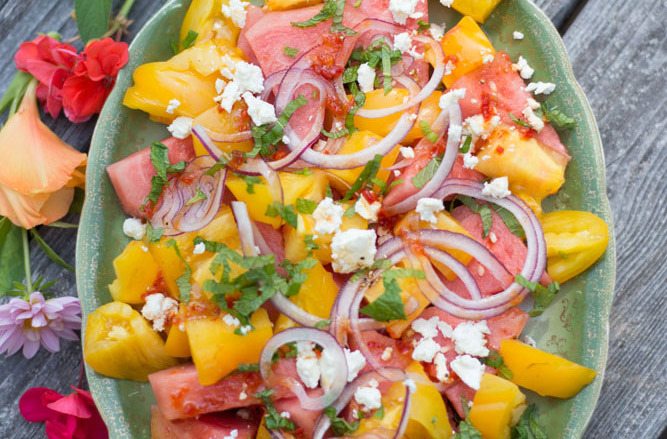 Slice the tomato and watermelon into big chunks and lay them out on a platter. 2. Sprinkle the red onion, mint and feta on top. 3. Mix the ingredients for the dressing well with a fork in a cup. 4. Drizzle the dressing over the platter. 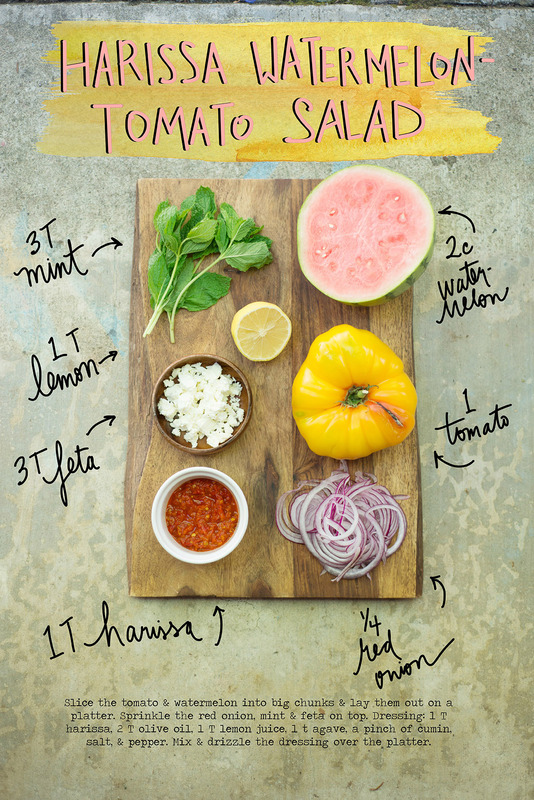 This recipe and photos were originally developed in partnership with New Seasons Market. Find the original post on The Forest Feast blog, here.